We were picked up in the lobby at 12 noon and had a 15 minute ride to the Anik Spa. 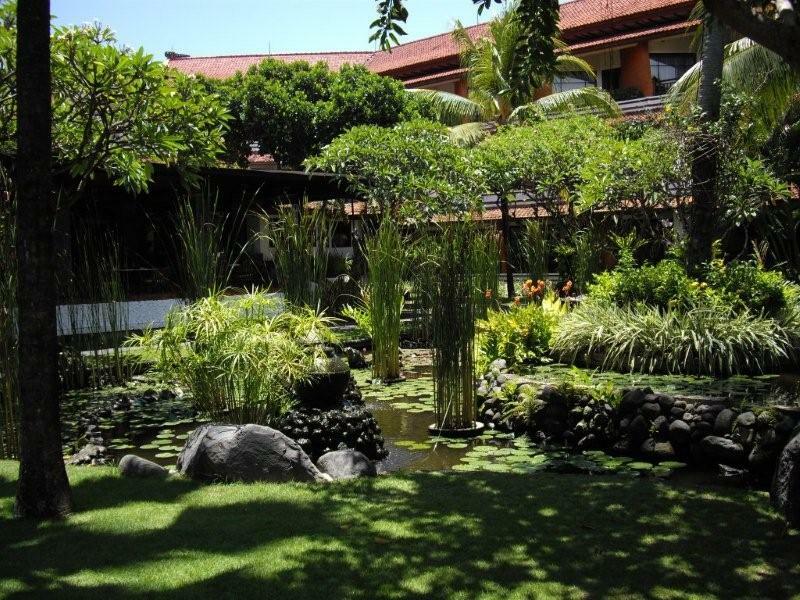 We were going to take advantage of the 90 min per person Balinese Massage included in our package. The only part we had to pay was the transfer which was 150,000 IDR which was about $15 CAD (return). The massage was absolutely the best I have ever had!!!!! Dinner was setup on the beach and the theme was Bali. The food was really good. They had a show with Balinese dancers and it was fantastic! We were picked up in the lobby at 8 am. We were on the “English Tour” and there was only 4 other people on it so we had lots of room in our van. Our first stop was to see the Rice Fields. 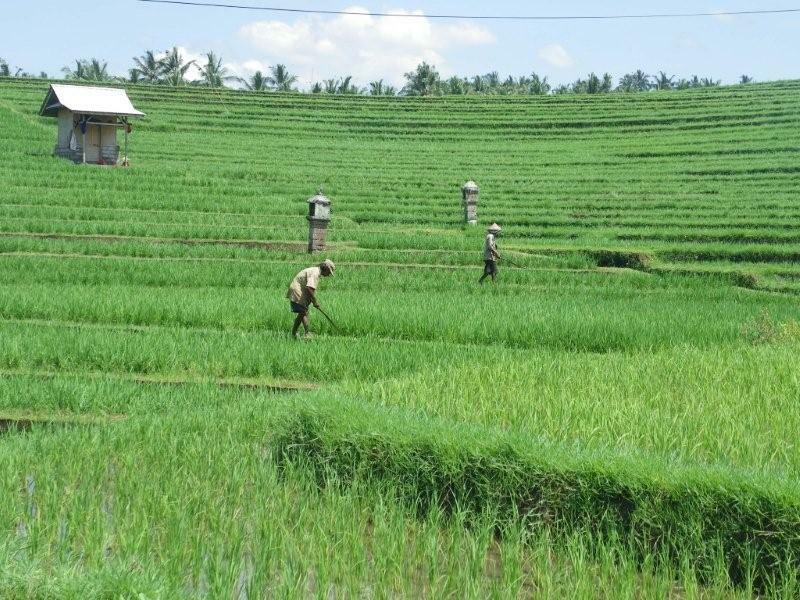 They grow the rice on shelves and harvest by hand. They work from sunrise to sunset and stop once for something to eat and to rest in the shade. On this stop I also saw the biggest bat I have ever seen! We drove through the country side and up to Lovina Beach. This is where we had lunch. The beach had black sand which was very coarse and hard to walk on. The next stop was to a monkey forest. I wasn’t sure about getting out of the van but they were not aggressive at all. I was good to get out lots and walk around, even though we had lots of room in the van it was not really comfortable after a while. They day started at 8 am and we were dropped off in our lobby at 6:30 pm. 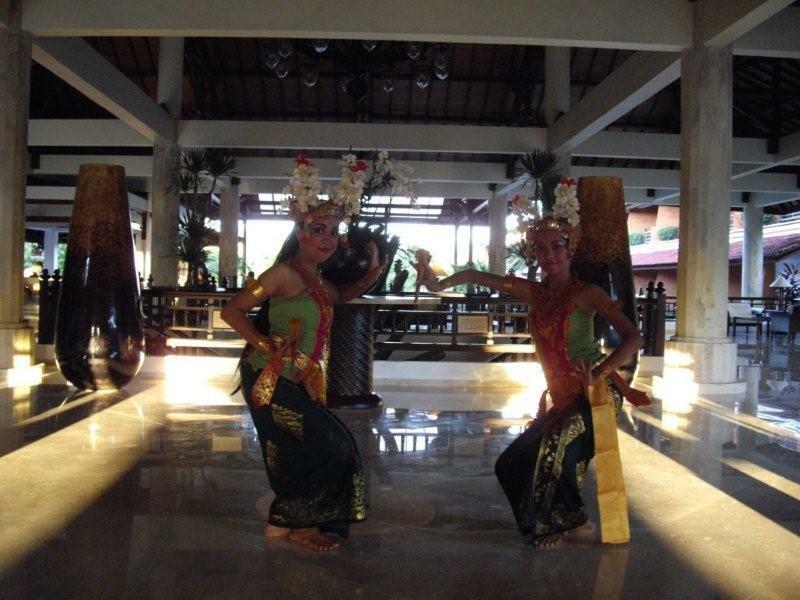 We were greeted in the lobby by Balinese dancers. We had dinner in the buffet (the theme was food from Around the World), it was really good. We decided to book a 90 min couples massage for the next day (the massage was included in our package) so we called to arrange for a driver. We are going to be picked up at 12 noon. We had a quiet day today. Buffet breakfast followed by a couple hours on the beach and in the ocean. We spent the afternoon at the pool (me in the shade peeling lol) the weather is unbelievable! We went for dinner on the beach again. They had a made to order pasta bar and again the food was awesome. We had an early night since we were going on the Northern Bali tour in the morning. We called our same driver and went to Kuta which was about 30 min away. It was really busy there but the shopping was awesome in about two hours we had gifts for almost everyone at home. 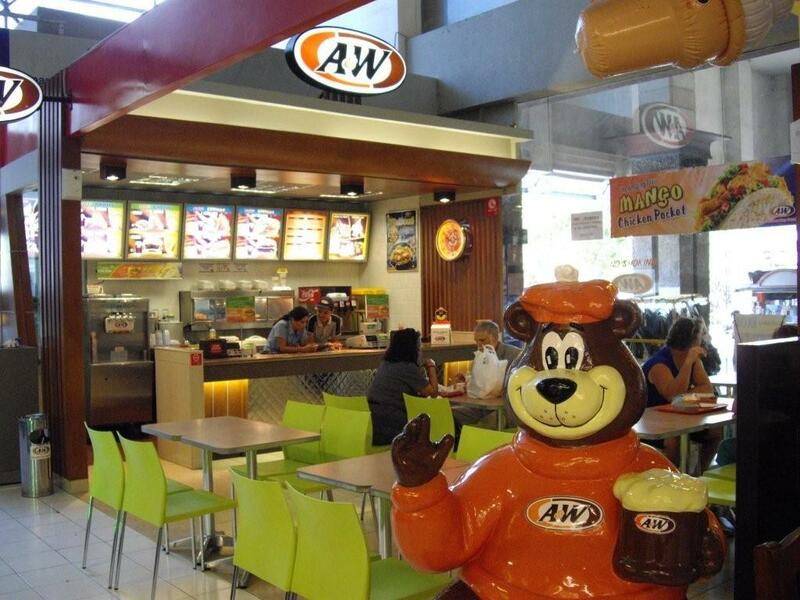 Rod had a burger at A & W and he said it was really good. There was a beach bbq setup for dinner. The setup was so nice and the food was great. They also had a band. Dining by candlelight on the beach is the best!!!!! Way too much sun yesterday so we hired a driver and went to a shopping center called the Bali Collection. It was really quiet there….we found out everyone goes to Kuta to shop. We had dinner at the buffet in the hotel and had an early night. Rod inquired about wireless internet for our room since we have our laptops and Iphones. The cost for 24hours of internet over a 7 day period worked out to $20. Very Cheap! 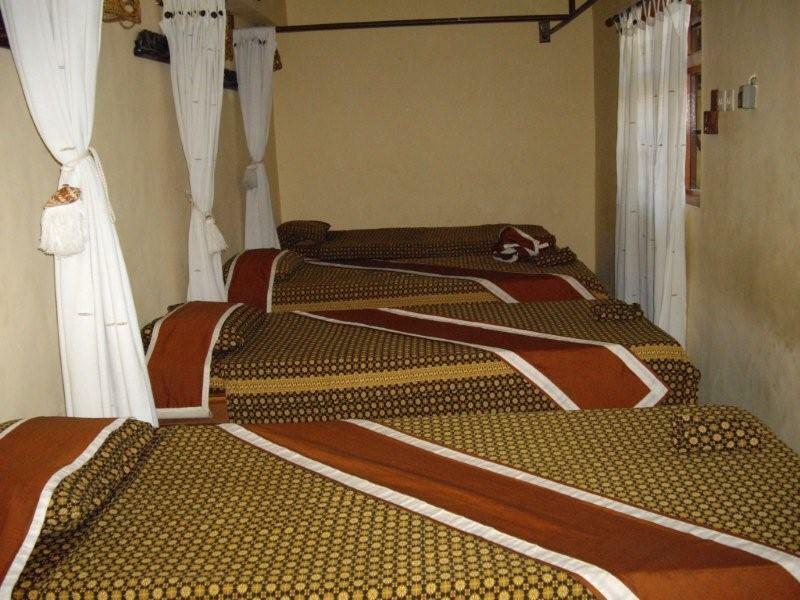 We have a few tours included with our package and we needed to decide when to do. 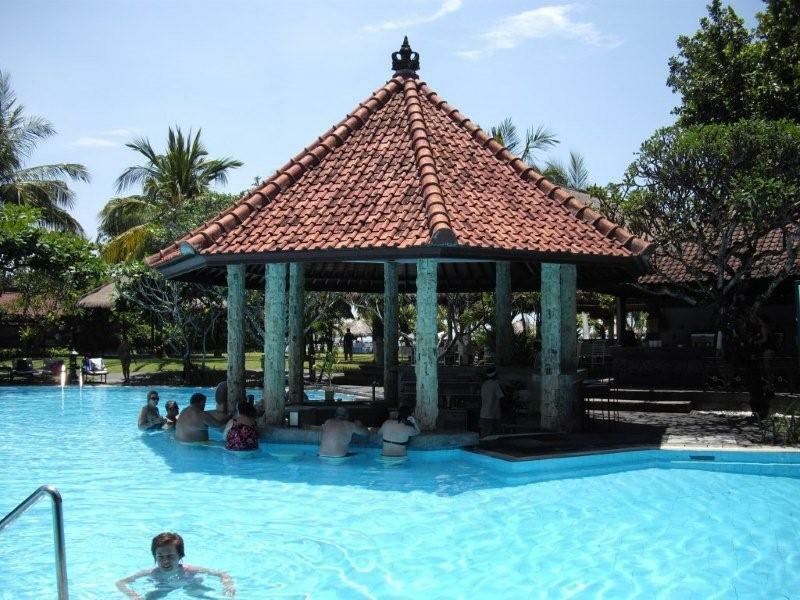 We decided to do the of Northern Bali on Tuesday Mar 23, the Oleh Oleh tour on Mar 25 and the Sailing Cruise to Lembongan Island. We got up early had breakfast (the buffet was really good…we each had an omelette) It was already really hot and humid! We checked out the beach, pool and hotel. It was really hot and we were still tired so we pretty much had a day relaxing at the beach, pool and on our balcony.